Titanic. Just the name evokes tales of the doomed ship that have captivated people of all ages for more than 100 years. Early readers will enjoy this exciting account of the world's most famous disaster-at-sea and the discovery of it's remains many years later. Step 4 books are perfect for independent readers who are confident with simple sentences and are just starting to tackle paragraphs. "Exciting nonfiction books for kids just beyond the beginner stage can be hard to come by, and the story of the sinking of the "Titanic" and its subsequent rediscovery will be the ticket for both hard-to-please young 'real stuff' buffs and older reluctant readers." --"School Library Journal." Full color. 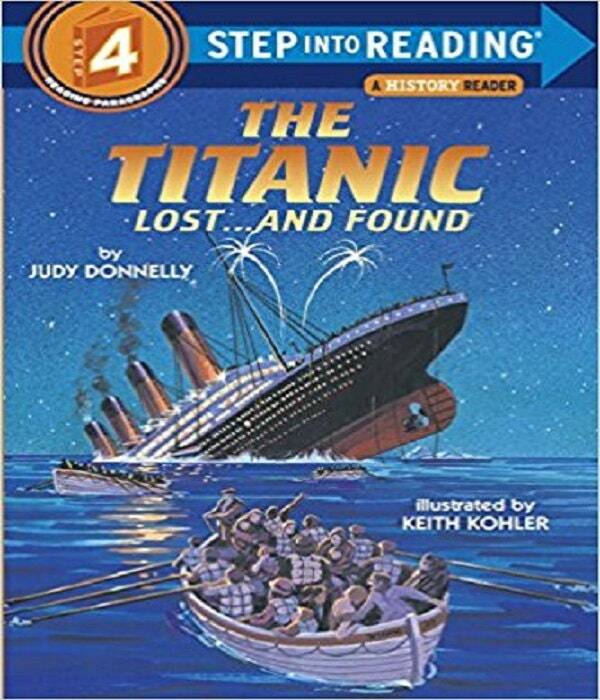 "Exciting nonfiction books for kids just beyond the beginner stage can be hard to come by, and the story of the sinking of the Titanic and its subsequent rediscovery will be the ticket for both hard-to-please young 'real stuff' buffs and older reluctant readers. The descriptions of the ship and action are clear, facts are accurate, and the watercolor illustrations convey the high drama of the sinking. A must." --School Library Journal.